Belgium's family-owned consumer-sector focused investment company Verlinvest SA has acquired additional stake in wine producer Sula Vineyards Pvt. Ltd for an undisclosed amount. Former Goldman Sachs' executive Hank Uberoi, who currently serves as CEO of London’s AIM-listed payments company Earthport, sold the stake held in the Mumbai company to Verlinvest, as per a legal advisory note. Uberoi, who has also invested in another Indian consumer company Bakers Circle (India) Pvt. Ltd, has been a director of Sula Vineyards since 2007. He held around 2.5% stake, as per VCCEdge, the data research platform of News Corp VCCircle. It couldn’t be immediately ascertained if he has sold his entire holding and if the deal also involved some fresh issue of shares to Verlinvest. Sula is also backed by other private investors such as Reliance Capital, VisVires Capital, Everstone and GEM India Advisors. Reliance Capital, Verlinvest and VisVires had also participated in the last funding round of the private firm where some existing investors such as Everstone had part exited. Hank Uberoi’s holding is believed to be worth around Rs 30-35 crore. Email queries sent to Sula Vineyards, Verlinvest and Uberoi’s investment arm Haystack didn’t elicit any response till the time of filing this report. Law firm Lexygen that advised in the transaction also declined to comment on the story. 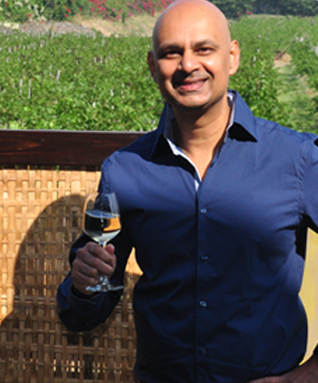 Launched in 1999 by Rajeev Samant, Sula Vineyards produces and exports white, red, rose and sparkling wines in India and globally. Spread over a total of over 3,000 acres, Sula claimed that its owned and contracted vineyards are home to some of India's finest grapes. The company also has an import arm by the name of Sula Selections, as per its website. It also offers wines sold under the brands such as Hardys, Ruffino, Remy Cointreau, Asahi and Sierra Tequila. The company posted net sales of Rs 272.9 crore during FY2014-15 against Rs 222.8 crore the year before, as per VCCEdge. It achieved net profit of Rs 18.6 crore during the same period compared with Rs 13.3 crore the previous financial year. Verlinvest also counts Hokey Pokey ice cream parent Drums Food International Pvt. Ltd, specialty food ingredients maker Veeba Food Services, Future Consumer Enterprise Ltd, among other companies, as its India portfolio firms. Verlinvest that had separately partnered Everstone in February 2012 to build a portfolio of food and beverage (F&B) assets in India and Southeast Asia is its co-investor in several ventures such as Pan India Food Solutions, a restaurant operator and owner of Noodle Bar, Bombay Blue and Copper Chimney brands. The joint platform owns franchisee rights for Burger King in India, among other chains. The alcoholic-beverage space in the country has seen a handful of deals in the recent past. Craft beer maker B9 Beverages Pvt. Ltd, which markets the brand Bira 91, was close to raising $10 million (Rs 67 crore then) from Hong Kong-based TR Capital to fund its expansion plans. In April, Kaama Impex Pvt Ltd, the Delhi-based firm which sells craft beer brand Witlinger, secured funding from two angel investors.